After waiting what feels like forever, Xbox fans around the world are finally celebrating the release of Cuphead. It took a few dark periods and delays to give Studio MDHR time to create the incredible animations that Cuphead is known for. 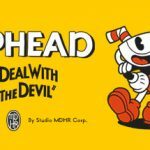 The saying, good things come to those who wait, comes to mind with this new release, as Cuphead sets the bar for 2D action games. 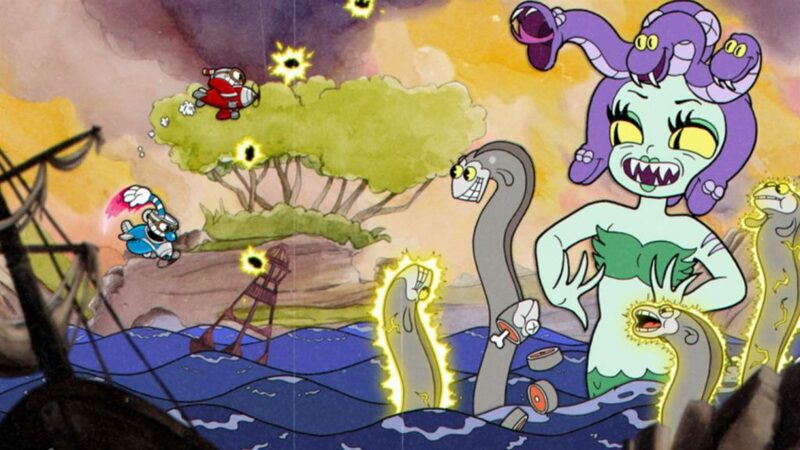 For everything that is great: the 1930s inspired art, pinpoint controls and fantastic soundtrack, it is still hard to recommend Cuphead for everyone. Those who do buy in, however, are guaranteed to experience a wide variety of emotions on their journey to pay off Cuphead and Mugman’s debt to the devil. Debt to the devil you say? Sad but true. After wheeling and dealing at the craps table, Cuphead was feeling fine, until Satan himself appeared and made a devilish offer. Against Mugman’s wishes, Cuphead wagered their souls for a chance to win all the loot in the casino. Naturally, the devil came out on top; begging for their lives, the boys asked if they could repay the debt any other way. The devil gave them a list of his runaway debtors, and the boys must collect all the debtor’s souls to be pardoned. I found the story to be just right, not over the top and not long-winded. It gave great motivation for two seemingly nice mugs (or are they cups?) to destroy so, so many creatures. After a brief chat with their older confidant, the Elder Kettle, the boys set off to repay their debt. As they start to work towards their goal, the boys realize their strength is growing, and plan to challenge the devil when he lets his guard down. One of the earlier boss battles against Ribby and Croaks. 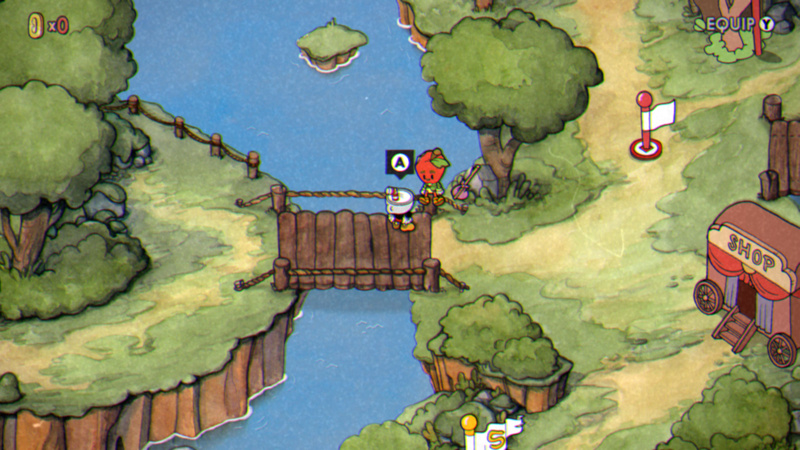 Once taking control of Cuphead, the first logical stop is the tutorial right there in the Elder Kettle’s home. A very brief sidescrolling level teaches you all you need to know, how to jump, dash, parry, use special moves lock your aim and resurrect your partner. I love how it is right within the game, I went back to it a couple times to refresh my memory and it was completely painless. With your skills sharpened you are free to roam the 2D map, which is conveniently corralled off in areas until you defeat the required enemies. There are some NPCs you can talk to, but eventually you’re going to have to face off against bosses and attempt run and gun levels. Before we talk about boss fights, be aware that there are two difficulties: simple and regular. Simple is obviously much easier, but you cannot collect a soul contract in this difficulty. I typically used it to practice for regular mode and prepare for the different phases of battle. Bridges and new paths will open as you progress. White flags represent beaten areas. The bosses are the true stars of Cuphead, you will quickly learn to love and hate them at the same time. I love the bosses because every single one is beautiful and full of personality, despite hardly speaking. In the first area you square off against The Root Pack, which consists of a gigantic potato, crying onion and killer carrot. Progressing further, Ribby and Croaks are a pair of boxing frogs who love to tag team you. Each isle within the map packs a handful of bosses, all beautifully animated and thrilling to defeat. Every time you die you will see a progress meter with markers that indicate the phases of the battle. This lets you know just how close to the end of the battle you were, and it’s a great motivator to keep trying. There is legitimate pain to seeing your progress fall just short of the finish line. Other boss fights might have you airborne flying as a plane which has a different feel and mechanics. While this all sounds great, gamers who are quick to get frustrated or bored with doing similar actions might be turned off completely. There is a very addictive quality to the battles that keeps you coming back, and the fact that each battle has a slightly different phase order than before keeps things from being completely routine. Run and gun levels challenge you to survive and reach the end in tact. Cuphead and Mugman have a few tricks up their sleeves when it comes to squaring off against bad guys. The basic attack is your finger gun, which shoots rapid blue projectiles when held down. Shot-B is a second projectile attack that you purchase from the shop and can be toggled during battle. I chose the spread shot first, which is more of a short-range shotgun style projectile. There are other types you can buy, like seeker bullets; but eventually you are going to want the full arsenal at your disposal. Buying anything from Porkrind’s shop requires coins, which you collect as you play through run and gun levels. Run and gun levels have a very simple objective, make it from start to finish without dying. There will be a lot of enemies in your path that you can choose to fight or run from. It sounds very easy but it may be the section of the game I had the most trouble beating. You aren’t required to beat all the run and gun levels to progress further, but you will want the flexibility coins (and shopping with them) bring as bosses get more difficult. There are also a few mausoleums where you can earn a powerful super art attack to use when you’ve acquired enough EX cards. You can also equip charms that will give you perks like: an extra heart at the cost of some damage, invincibility during dashes or automatic parry. After each battle you are graded based on your time, parry goal, health, super meter and difficulty. You can always replay a battle on either difficulty to try and up your grade. Airplane battles mix up the formula slightly with new moves at your disposal. Presentation wise, Cuphead is phenomenal in nearly all aspects. Just looking at the game in screenshots and video shows off just how detailed and smooth the animations are. The 1930s-esque animations are matched perfectly with the big band/jazz soundtrack. Small touches like movie reel noises and visual imperfections make me feel like I’m watching a film strip. 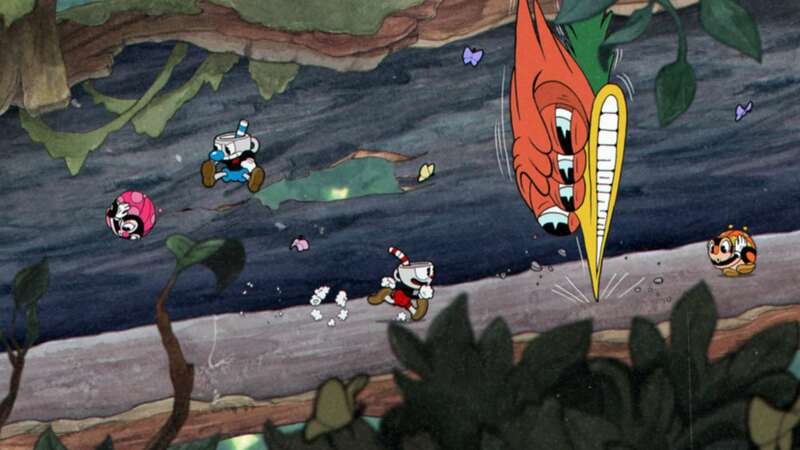 Games like this need precise controls, and again Cuphead delivers. Things always felt responsive and I never had any cheap deaths to blame the developer for. If there are any complaints whatsoever it is the loading times, which seem a bit longer than expected. Thankfully there is hardly any waiting when retrying a level, which you will do often after a quick mistake. Aside from that, the game is a true delight to hear and behold. I’ll admit, I was a Cuphead skeptic…I felt the game had built up so much hype that it could never meet expectations. I’m happy to say that I was 100% wrong. The gaming community has seemingly embraced the game with open arms. I was worried that I would get too frustrated and start to hate the game, and while I had my angry moments…I always came back. 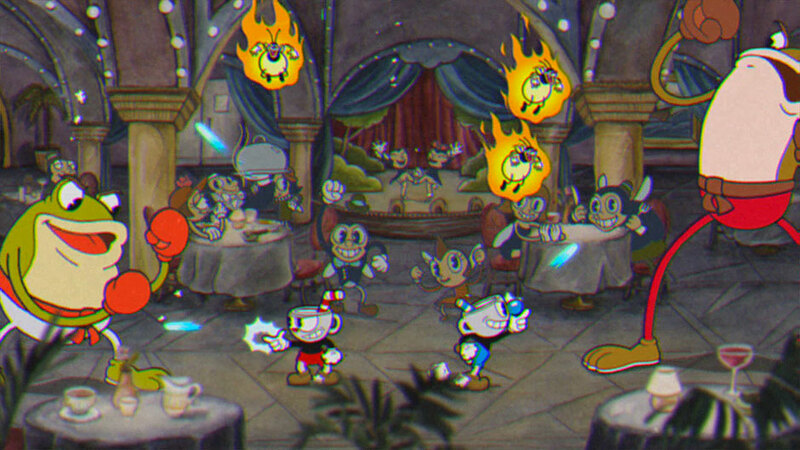 Gamers with overwhelming skill might breeze through Cuphead, but from what I’ve seen even those who have earned all achievements rave about it. Priced at $19.99 USD, Microsoft could have easily charged double and it would have been worth it. Cuphead is a true masterpiece that every serious gamer should at least try. It’s the most stylish and unique 2D action game since Viewtiful Joe.